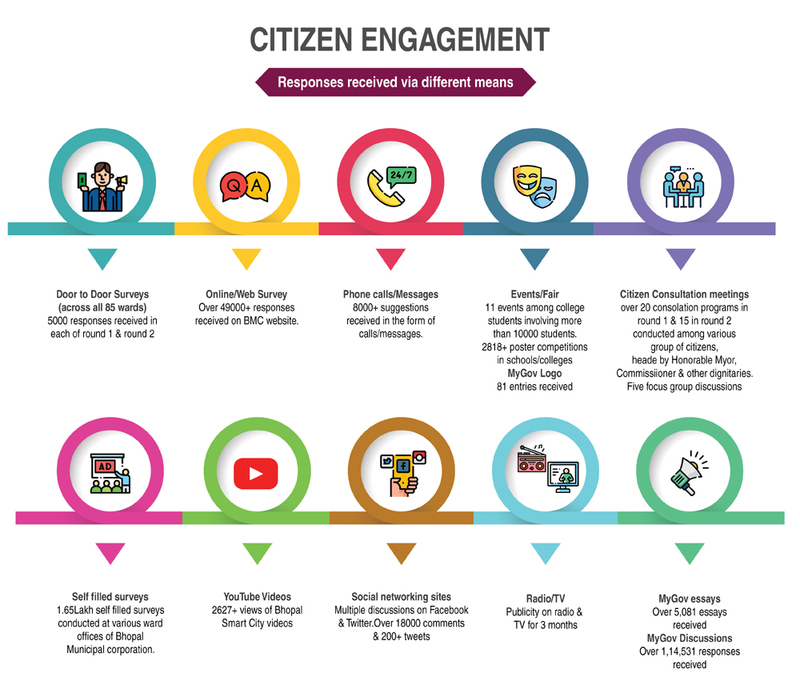 Means of Reach: Radio, Mass SMS, Mass e-mail, Print Media, Social Media, Corporation website, etc., Suggestion from each citizen, recorded and analyzed. Online and off-line platforms were available with offline system gaining maximum response. • Special programs to engage Senior Citizens were conducted to bring out their ideas. • 15 Public Consultations conducted to cover all class of audience of the city. • Citizens were encouraged to participate in giving their suggestion by announcing prizes for best suggestions. • School and college students engaged via essay and drawing competition. • Regular press release to keep citizens updated on the progress. 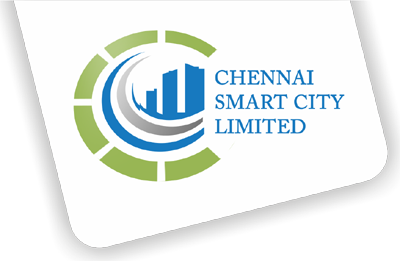 • Chennai is one of the first few cities in Tamil Nadu to create the discussion page at mygov portal and one among the first five cities in India. • Discussion page has the highest number of responses and comments received in MyGov portal amongst all the cities in Tamil Nadu. 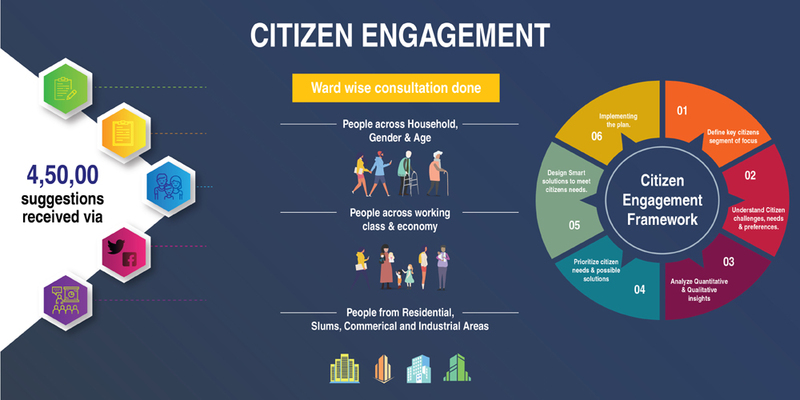 • Key participants of the engagement programs include Citizens of Chennai, Members other organizations & institutions such as Urban Planners, Press, Institute for Transportation & Development Policy, Chennai City Connect and other NGOs, Senior Citizens, Childrens, Women folks, etc. Create awareness amongst the citizens about Smart City and engage them from conceptualisation till finalisation of proposals. The aim was to engage citizens of all age group, from school children to senior citizens. • Mode of coverage varied according to the age category. • Engagement program (online and offline) organized by conducting various consultation programs. • Suggestions and wish list narrowed down for voting - selection of Area Based Development and PAN city solution. • Offline engagement included public consultation, focused consultation at zonal level, engagement with stakeholders, competition for students on visioning exercise, ideas and essays, competition for citizens for ideas, special consultation for senior citizens and women folks of the city, suggestion and voting boxes kept at each zonal office, suggestion boxes kept in each consultation. Mygov discussion page where citizens can post their suggestions and comments. • Mygov polling page - Selection for Area Based Development and PAN city solution. • Mygov essay competition conducted for students and general public. • Prizes for best suggestions were announced to encourage more participation. • Mygov live talk show chaired by City commissioner to spread the citizen engagement program and also to address various queries on the Smart City proposal. • Corporation website - link in its home page that directs to mygov suggestion page. • Social medias like Facebook, Twitter, Linkedin had their exclusive page for the discussions, suggestions and polling. • Youtube was used as media to upload all the talks and the engagement program videos to spread the awareness.